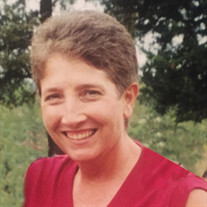 Lucy White, 61, of Pottsville, died August 14, 2018, at her home. The daughter of Paul and Mary Alice Dodge White, she was born May 31, 1957 in Eatonton, GA. She was a member of the Russellville High School Class of 1975 and received an Associate of Arts degree from Arkansas Tech University. Lucy had worked at Arkansas Nuclear One, the Arkansas Department of Motor Vehicles Revenue Department, Arkansas Child Support Enforcement Agency and most recently as a shipping clerk with Tyson Foods. She loved her family, friends and pets, doing puzzles, reading, camping and four-wheeling. She was preceded in death by her parents; and a brother, Paul (Buster) White, Jr.
She is survived by a brother, Phil (Carolyn) White of Russellville; sister, Sue White Arnett, Little Rock; step-mother, Shirley White, Little Rock; Step-sister, Debi Barnes, Little Rock; sister-in-law, Joy White Robertson, Kosciusco, MS; nephews and niece, Paul White, Jr, Joe White, Jake White and Ally White Nichols, all of Kosciusko, MS, Donald (Trey) Geier, Conway, and Michelle Geier Marise, Cabot. A memorial service will begin at 4:00PM Saturday, August 18, 2018, at Humphrey Chapel and will be followed by a time of visitation with the family. Jim Bob Humphrey will officiate. Cremation arrangements are under the direction of Humphrey Funeral Service. Memorials may be made to the Russellville Animal Shelter,3115 South Mobile Avenue, Russellville, Arkansas 72802. Internet obituary and on-line guest book are available at www.humphreyfuneral.com.